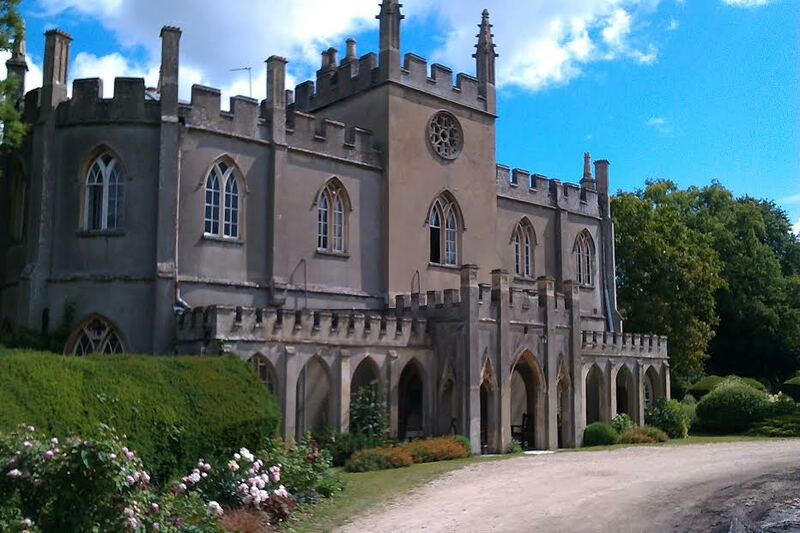 We are delighted to be returning to the wonderful Braziers Park in Oxfordshire. 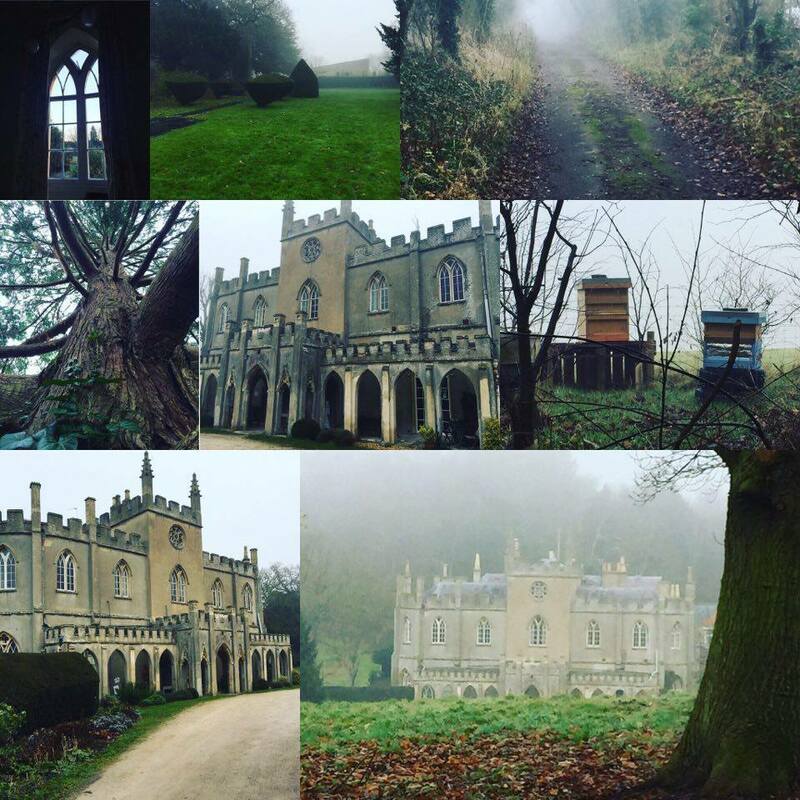 We have been running retreats here for many years and it is one of our favourite locations. We are planning a deeply nourishing few days of yoga asana, pranayama, meditation, inspiration, wholesome vegetarian meals, good company and plenty of time for rest and reflection too. The grounds are large and nestled in beautiful countryside so lots of opportunity to walk and breathe the fresh country air. Braziers Park is a warm country manor house (formally home to 007! ), set deep in beautiful countryside and the rolling Chiltern Hills of South Oxfordshire, an area of outstanding natural beauty. The location is perfect for a deeply relaxing and rejuvenating retreat. The old manor is Grade II listed in the strawberry gothic style, it has so much character and beauty. 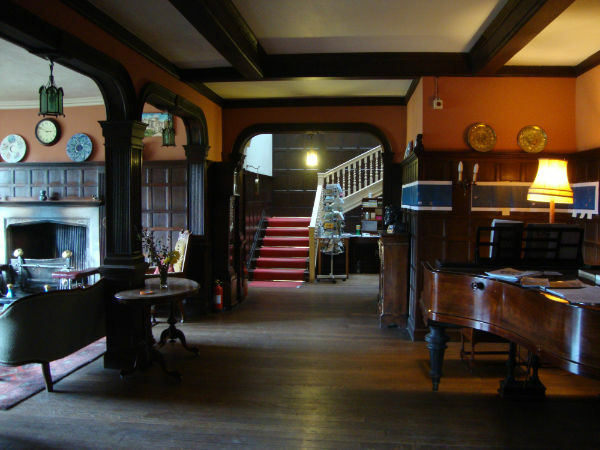 There are real log fires, plentiful sofas and a grand piano amongst its charms. 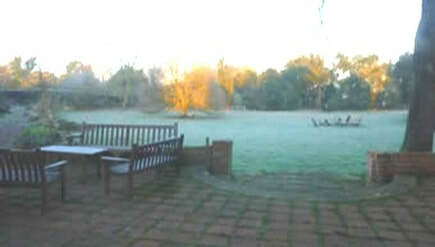 All set in 57 acres of land with beautiful gardens. Braziers is a working eco community with sheep, chickens, a walled vegetable garden and an ancient orchard. Flowing, traditional hatha yoga sessions will naturally open the heart and nurture you to a space of surrender and stillness. A typical class will include asana (postures), pranayama (breathing exercises), hands-on adjustments, guided relaxation, chanting and a taste of philosophy. Typically each class will last for between 1.5 & 2 hours. 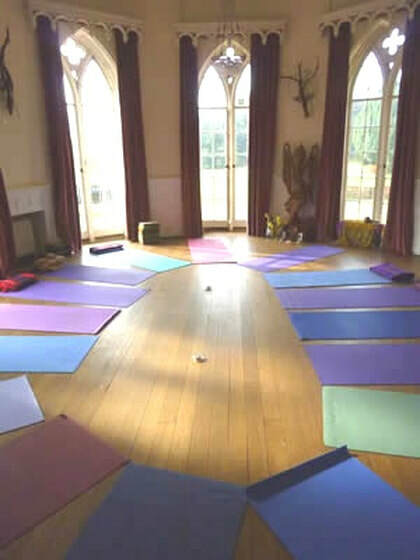 The morning class will be a 2 hour practice of traditional Hatha Yoga and the evening class will be Yin Yoga, a more held and restorative practice. We will begin each day with silent meditation and a little mantra chanting. Have a look at the schedule below for a general idea of the weekend programme. There is a lovely woodland walk, which is a great opportunity to experience some of the wildlife beauties of the estate. 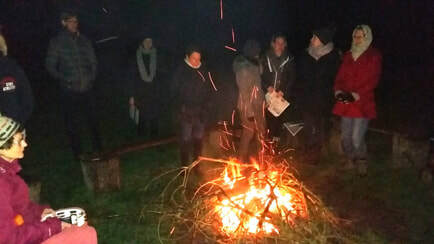 There will be campfires, singing, delicious vegetarian food and plenty of time just to hang out and chat, meet new people, read, relax and enjoy being in community in natural surroundings. A variety of massage treatments will also be available at additional cost. Braziers Park is an attractive listed Grade II building set in 50 acres of land. All rooms are comfortable and charming. There are double, twin and triple rooms, with one family room. Please book early to secure the accommodation of your choice. All bathrooms are shared. A limited number of single rooms are available. 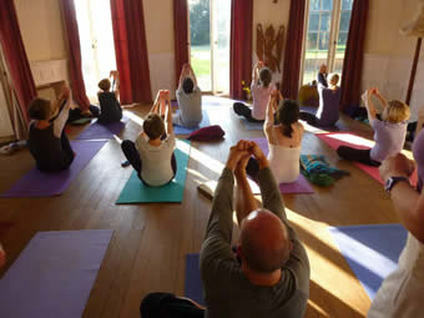 Arrival time on Friday is from 3pm onwards and the first yoga class will be at 4pm. 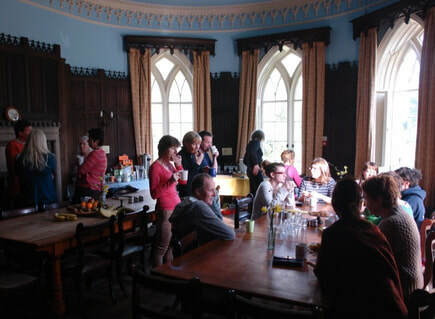 On Sunday, the retreat will finish after lunch at around 2.30pm. 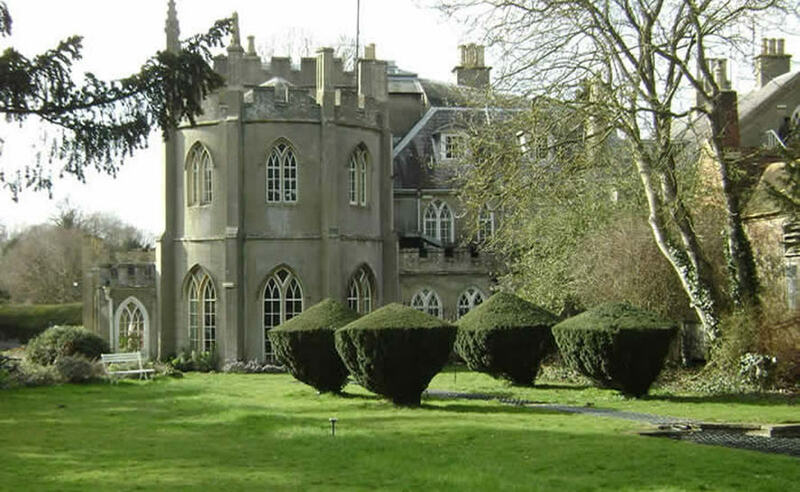 Braziers Park is less than an hour and a half from London and just under 2 hours from Bristol. We will try and connect you with other participants to arrange lift sharing where possible. 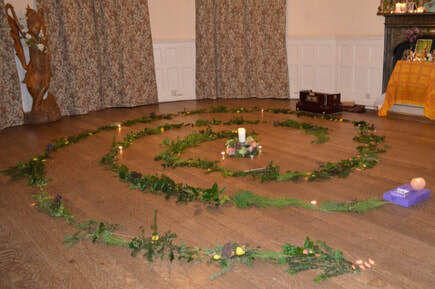 Please complete a booking form Retreat OXFORDSHIRE Sept 19 and forward your deposit of £100. Deposits are non-refundable. Places are not confirmed until the retreat deposit has been received. Full payment is required 4 weeks before the retreat start date. No refunds, credits or transfers will be given 4 weeks before, during or after the retreat has started. If for any reason you feel you may have to cancel we advise taking out insurance.